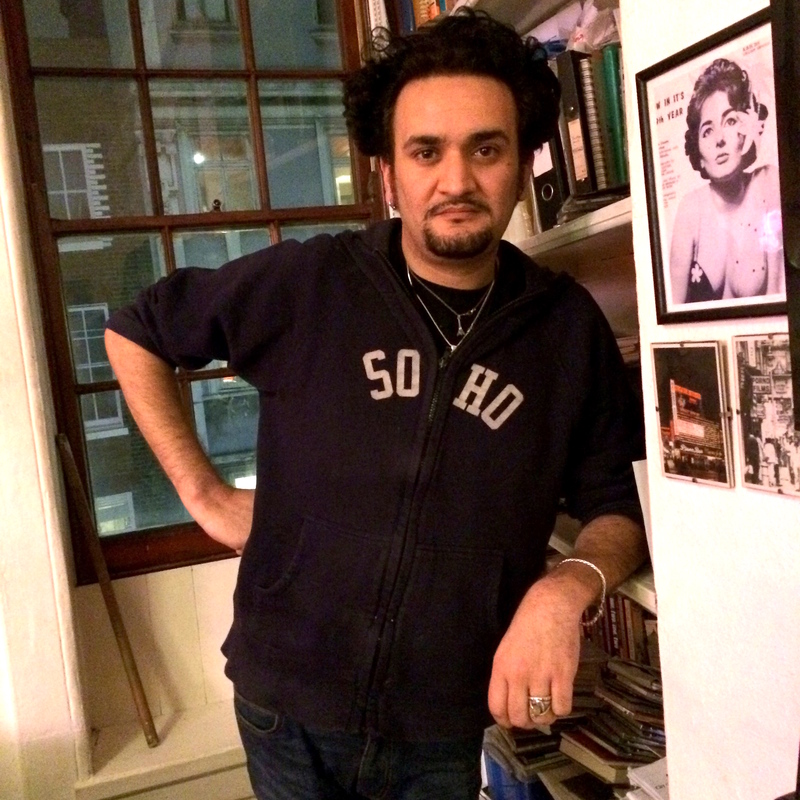 I was chatting to singer-songwriter Tim Arnold, aka The Soho Hobo about his Save Soho! 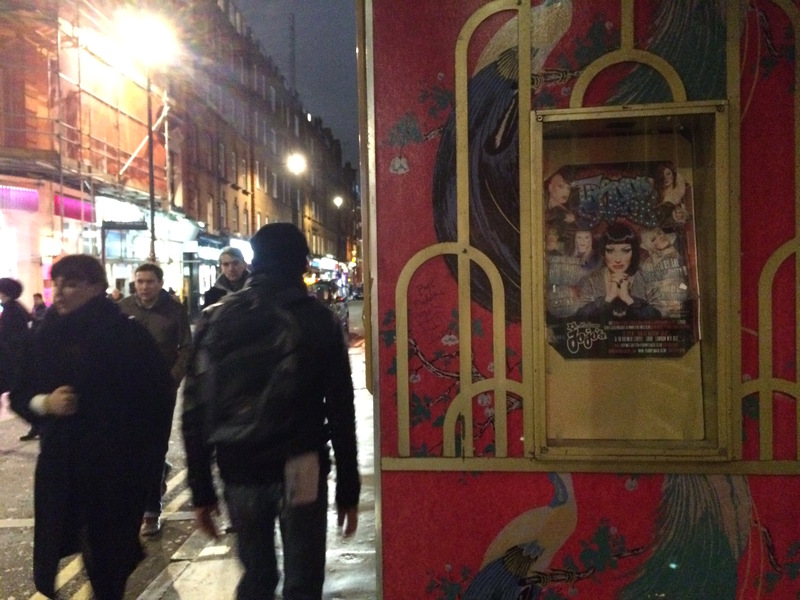 campaign following the sudden closure of iconic Soho club Madame JoJo’s. I photographed him standing by a photo of his mother. “Gillian Arnold,” I said, reading the name on the photo. The reason I mention this is to show Tim Arnold has quite a background in both show business and in London’s Soho. The letter was also signed by Benedict Cumberbatch, Stephen Fry, Paul O’Grady. Pete Townshend, Eddie Izzard and a virtual roll-call of the British entertainment industry. “What’s it all about?” I asked Tim yesterday. “I’m surprised too,” said Tim. “Fawn is a friend who I met three years ago, at the launch of the Soho Flea Market. 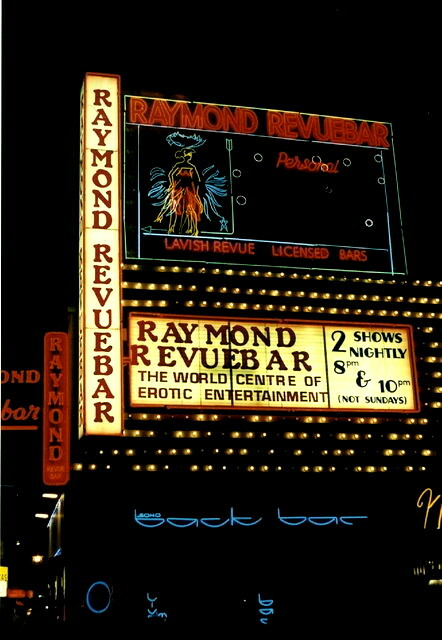 It was lovely for me to finally meet her, because my grandfather used to work for her grandfather – my grandfather Dickie Arnold was actor-manager of the Raymond Revue when it toured; and, later on, he worked at the Raymond Revuebar with my grandmother. “It was really great to make that connection with Fawn and, because she’s an actress as well, she performed in one of my videos – Manners On The Manor – which was shot at Ronnie Scott’s – playing the role of Queen of Soho. “So I am quite confused as to how this has been allowed to happen with her being involved, because I know that Fawn supports the performing arts. And Paul Raymond supported the arts – people don’t realise this. “When I interviewed Fawn on BBC1’s Inside Out a year ago, I asked her off-camera what was going to happen to Madame JoJo’s and she said it was going to have to be moved; but she didn’t elaborate. It’s also a year ago since I sang at Madame JoJo’s with Andy Serkis and The Blockheads. That’s the last time I was inside the venue. “The sadness over the closure is not about the name. It’s about the space. “They’ve taken a lot of them out already,” said Tim. 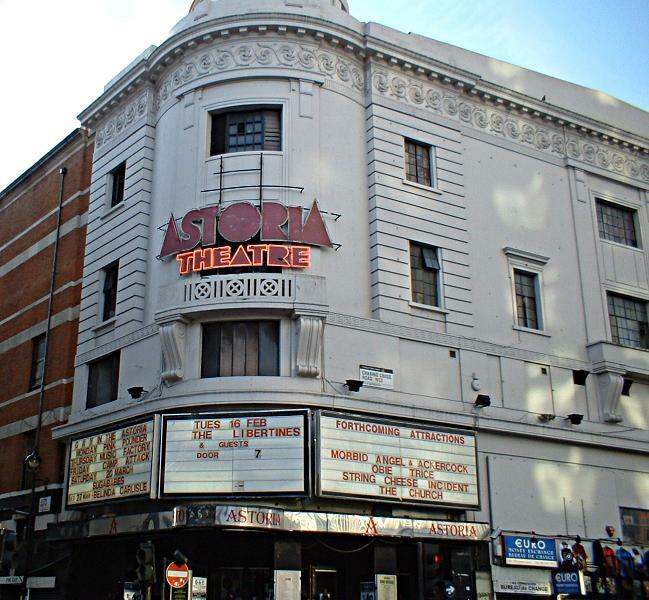 “The Astoria being knocked down was a shock, particularly to the music industry. That seemed to make it open season on other venues. “I signed my first record deal with Sony after doing a gig in a basement club called the Borderline – a 200-capacity venue like Madame JoJo’s. These venues are important for up-and-coming bands. We have to keep these venues open, unless developers want to argue that TV talent shows are the only way forward for young artists to get their feet in the industry. “It was,” said Tim, “a microcosm of what Soho is. It’s everything – a melting pot. It does not have one single identity. Madam JoJo’s disappearing is almost like the performance heart of Soho is. It doesn’t matter what your culture, background, religion, sexual orientation is, you were welcome and that’s why it is pretty serious it has gone. “I’m not a campaigner, I’m an entertainer. That’s the key. A campaign has arisen out of my passion for where I and my family have lived and worked for the last 50 years. I didn’t plan it as a campaign. My mother said I should write a letter to the mayor and I thought How can I make him respond to the letter quicker? So I called my friend Benedict Cumberbatch and he said he would help and, after that, it snowballed. 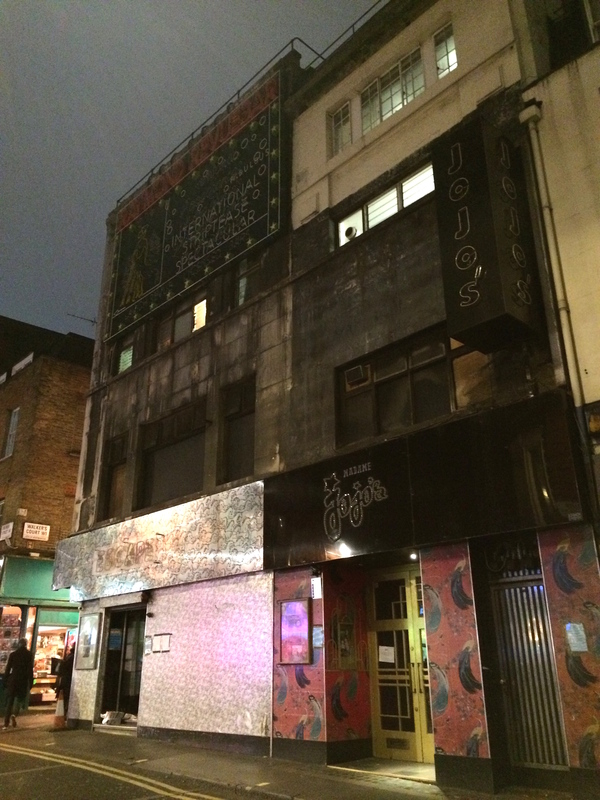 “Madame JoJo’s was open from 7.30pm to 3.00am. That’s a lot of entertainment. It kept performers working, earning a living, promoting what they do. Equity have come on board today and are also talking to the Council about this to try and repeal the decision. “I have never,” said Tim, “mentioned corruption, but I have never heard a single person this week not mention it. I’m a singer-songwriter. What do I know? “Anyway,” said Tim, “I don’t want to focus on that. I want to focus on a very clear message from all sides of the entertainment industry – emerging and established artists – saying You can’t keep doing this without talking to this community first. “We can welcome any new addition – Mozart lived on this street and television was first demonstrated just a few doors down this same street – but not at the expense of taking away what we already have here. Ha, hi John, crumbs, I did some weekly shows at jo jo’s in the summer of 1998 – they were called club class and consisted of 5 or 6 acts of varied skillset, Malcolm H happily offerred to compere, always remember catching him for a couple of glasses before the show to talk about the acts, one fag in hand, lighter at the ready, another burning in the ash tray, oi oi he’d say, bring on the cabaret, he used to bring 2 or 3 randoms / friends to add to the mayhem, they were good times, bloomin good times. Its funny but I can’t remember any of the acts we had, Malcolm stole the show….. again! I remember when I was about 15, my father taking me to what is at the moment Madam JoJo’s, but at the time a cabaret venue where we had dinner and I saw an American tap dancing duo and one of them danced holding aloft by it’s corner in his mouth, a table…I was amazed…the venue also used to have an aquarium in he window from which one chose the fish or lobster they wanted cooked…can’t remember the name of the Venue as was, which is a shame and now at 76 years old and it is a shame that the Soho and venue that I knew is about to fade into the history books….It is SOHO as was that the tourists come to see…Not the sanitized version that “Soho Entertainments” and the Westminster Council want to develope. Cathy McGowen was my next door neighbour when i lived in Westmoreland Road, Barnes. She still lives in Barnes but ive moved on and upwards, so there!